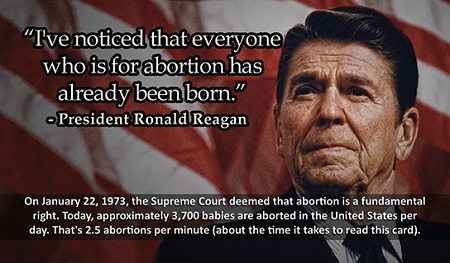 On January 22, 1973, the Supreme Court deemed that abortion is a fundamental right. Today, approximately 3,700 babies are aborted in the United States per day. 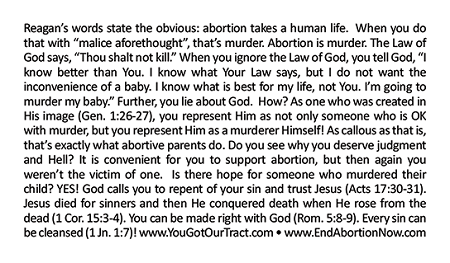 That's 2.5 abortions per minute (about the time it takes to read this card).